We at Doctors Health Press typically focus on providing natural and alternative health advice, but many physicians will often prescribe medications and painkillers to help reduce or ease a patient’s pain symptoms. When dealing with powerful drugs such as oxycodone and hydrocodone, it’s important to know what each drug does and why you are taking the drug in the first place. Both oxycodone and hydrocodone are strong prescription painkillers. They can be prescribed to relieve temporary pain or they can be prescribed to manage ongoing pain. Depending on the severity of the pain, other drugs may be combined with either oxycodone or hydrocodone. For instance, the combination of acetaminophen and oxycodone can relax a patient. Combining hydrocodone with antihistamine relieves pain that comes from coughing by suppressing the cough reflex. Oxycodone contains a nonsteroidal anti-inflammatory drug (NSAID) and is used to treat moderate to severe pain. Hydrocodone—also marketed as “Vicodin”, “Lortab”, and “Lorcet”— is an opioid synthesized from codeine; it can treat chronic pain. Hydrocodone is the most addictive and abused opiate in the U.S. It should therefore only be taken as prescribed by a doctor. An average dosage of oxycodone (10 to 30 milligrams) is typically taken every four hours. Keep in mind that dosage depends on the individual. For example, five milligrams of oxycodone is more suitable for someone with a strong stomach. Someone with a weaker stomach may be prescribed seven milligrams of hydrocodone. 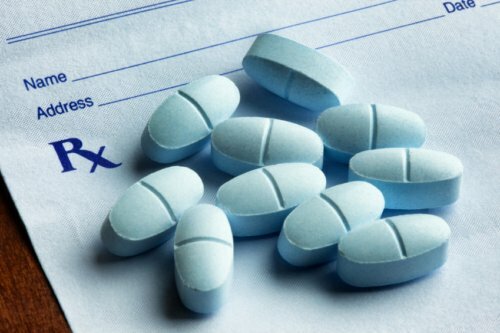 Oxycodone has a higher potency and it can be difficult to get a prescription. No refills are given; the patient must get a new prescription every time they purchase oxycodone. Patients are able to get refills with hydrocodone; usually six refills within a five month span. The potency of hydrocodone is not as high as oxycodone. Oxycodone is reserved for more severe pain stemming from, for example, cancer. Coming off of each of these drugs comes with its own set of challenges. Hydrocodone doesn’t remain in the body for a long time; therefore, it’s easier to deal with withdrawal symptoms. Oxycodone remains in the system longer so weaning the body off of oxycodone takes planning and preparation. Anyone taking either oxycodone or hydrocodone for a short or extended period of time can experience any combination of the following side effects: Nausea, vomiting, dizziness, constipation, cold sweats, tightness in chest, chills, confusion, fever, hiccups, abdominal pain, blood in the urine, infrequent trips to the bathroom, dry mouth, fainting, headaches, cramps, weight gain, crying, blurred or distorted vision. If you experience any of these symptoms excessively, contact your doctor immediately. People who have asthma or breathing problems. People with liver or kidney disease (both drugs can worsen liver and kidney problems). Women who are pregnant or breastfeeding (both drugs can result in a possibility of birth defects). Furthermore, it is imperative to avoid drinking alcohol while taking either of these medications as it could potentially lead to dizziness, liver damage or even death. Oxycodone or Hydrocodone: Which is Best? Ultimately, your doctor will be able to advise which drug is best to treat your pain symptoms. Both oxycodone and hydrocodone can treat moderate pain, but oxycodone is stronger, so it is generally prescribed to treat traumatic pain. Keep in mind that there are effective natural alternatives to these drugs. Natural substances such as ginger and turmeric can act as effective alternatives to painkillers. The latter is now available in a concentrated supplement known as Curamin. Curamin provides curcumin extract from turmeric, called BCM-95, which is said to relieve pain in a safe, natural way. Zyflamend is a dietary supplement that has been proven to support joint and bone health and reduce inflammation in the body. It contains extracts of green tea, turmeric, rosemary, ginger, holy basil, and more. The components have anti-inflammatory and anticarcinogenic properties. Painkillers Health Risks: Are They Making You Sick? “Pain Relief Alternatives to Oxycodone & OxyContin,” Marks Pharmacy web site; http://www.markspharmacy.ca/index.php?option=com_content&view=article&id=163:finding-pain-relief-alternatives-to-oxycodone-a-oxycontin&catid=1:news-a-articles&Itemid=5http://www.markspharmacy.ca/index.php?option=com_content&view=article&id=163:finding-pain-relief-alternatives-to-oxycodone-a-oxycontin&catid=1:news-a-articles&Itemid=5, last accessed December 3, 2015. “Oxycodone vs Hydrocodone,” ethehealthadvisor.com; http://ethehealthadvisor.com/oxycodone-vs-hydrocodone/, last accessed December 3, 2015. “Oxycodone Side Effects,” Drugs.com; http://www.drugs.com/sfx/oxycodone-side-effects.html, last accessed December 3, 2015.